Rather Crude but funny ! A lady walks into Tiffany's. 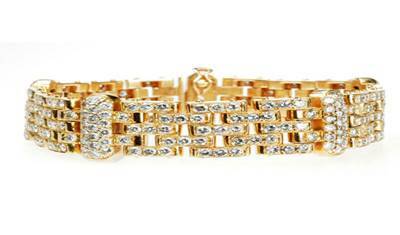 She browses around, spots a beautiful diamond bracelet and walks over to inspect it. As she bends over to look more closely, she inadvertently breaks wind. Very embarrassed, she looks around nervously to see if anyone has noticed her little accident and prays that a sales person doesn't pop up right now. As she turns around, her worst nightmare materializes in the form of a salesman standing right behind her.